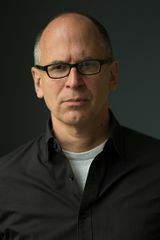 James Oseland is the editor-in-chief of World Food, a book series launching from Penguin Random House in 2019. Prior to that, he was the editor-in-chief of Saveur, America’s most critically acclaimed food magazine. He has won multiple National Magazine and James Beard Foundation awards and has been a judge on Celebrity Apprentice, Iron Chef America, and all five seasons of Bravo’s Top Chef Masters. He is also the author of Cradle of Flavor, which was named one of the best books of 2006 by the New York Times and Good Morning America. He lives in New York City.